Our San Francisco Giants bedskirts are a great addition to your MLB team comforter. Each officially licensed MLB bedskirt is made of 100% polyester jersey mesh to coordinate with our San Francisco Giants Sidelines Collection. This solid color Jersey Mesh bed skirt looks and feels like a real Major League Baseball Jersey. Each baseball team bed skirt has a 14 inch drop. Choose between twin size (76 x 39) full (76 x 54) or queen size (60 x 80). 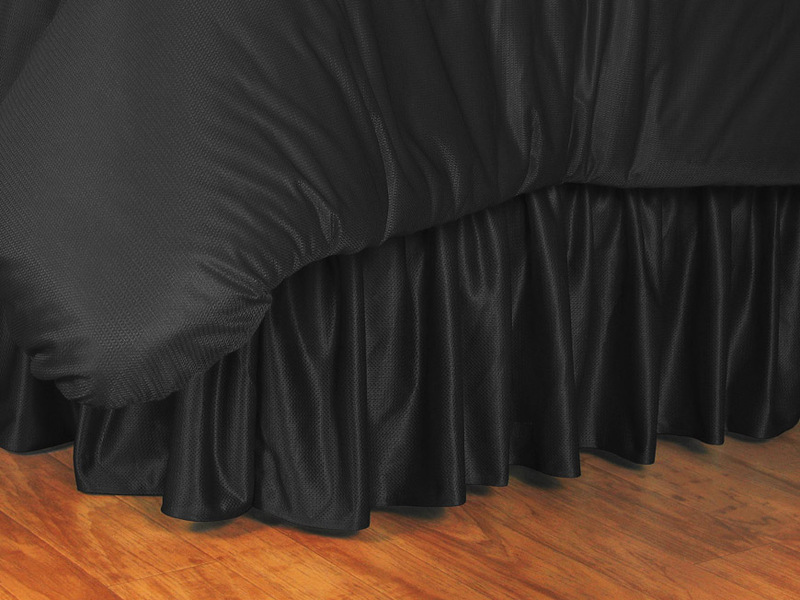 Sidelines Bed Skirts are part of the Sidelines Series of Team-Bedding.